It is my goal and life’s purpose to help as many people worldwide as possible who have chronic conditions and to EMPOWER YOU to regain and harness your CONFIDENCE as well as your well-being and to reach your full potential! Motivated Despite Your Challenge or Chronic condition? You Are In the Right Place! You Can Do This! Do you have a chronic condition or some other type of challenge? Are you seeking support, looking to regain confidence, finish a project, or a sounding board to practice more self-care? I offer custom coaching and consulting for people facing great challenge who are also highly motivated. Are you chronically ill or challenged but also chronically motivated? Are you struggling with body image, getting in shape, confidence, or taking care of yourself? What would your life, health, career, and relationships be like if you felt good inside and out consistently? How can you move out of living from fear and into living from joy and passion? What does it take to be truly happy? I also offer VIP wellness coaching and custom consulting for highly challenged, but also highly motivated clients. Schedule your first session today! Please visit here to schedule! I love helping people learn how to get strong, get more energy, relax more, and get in tune with the amazing vehicle and home that is their body! I have a background in health and wellness that covers almost 20 years. 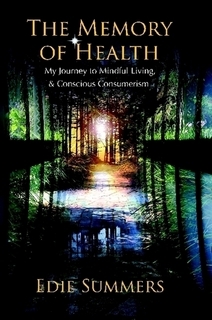 I am author of the The Memory of Health – which took me 10 years to write. It chronicles my journey through a chronic condition and is also a comprehensive wellness resource for self-care, stress management, mindful living, and living well with or without a chronic condition. I am also a Wellcoach – certified by the prestigious Wellcoaches school of wellness coaching. I am a top-rated radio host (I have interviewed many celebrities on well-being ! ), a yoga/mind-body fitness instructor, and I am pursuing my Ph.D. in Health Psychology and certifications in Clinical Nutrition and Functional Medicine. Whew! I have studied and trained in alternative health for 20 years. I was a wellness consultant, lecturer, and broker in the natural foods industry for 7 years. As a broker, I represented over 30 lines and serviced 50 chain and independent stores in Utah. Some of my clients included: Alacer, BHI, Herb Pharm, Greens Plus, Nature’s Secret, Renew Life, Nutrex, Nutribiotic, and Weleeda. 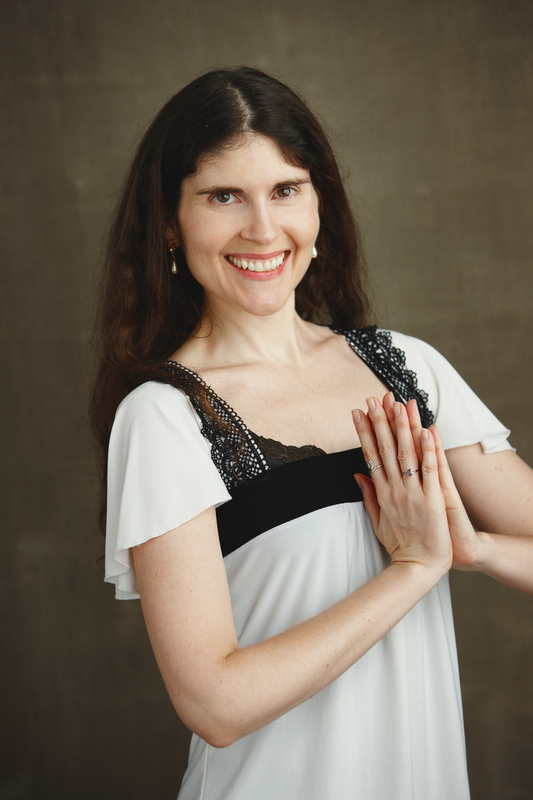 I have training in wellness coaching, corporate wellness coaching, stress management, energy healing & medicine, herbs, superfoods, nutrition coaching, natural foods, HABA care, food psychology, personal training, and fitness coaching – I was a professional dancer for 10 years. I have been involved in the fields of alternative and integrative health for over 18 years as a consultant, patient, advocate, writer, and coach. I have experienced health challenges as well as supremely good health, and everything in between. I have a passion for health and I wish to continue to share it with others and empower people to realize the value of their own life and health. I have overcome many obstacles in my life including recovering from chronic illness and surviving domestic violence. I have achieved many of my lifelong goals including becoming a professional writer and dancer, and having my own coaching business. I continue to achieve goals I set for myself both personally and professionally by practicing what I recommend to my clients each and every day. Never give up on yourself. You are worth it. If you face a challenge or chronic condition, but are also chronically motivated, I am your coach! I also offer coaching for people who are looking to build their confidence in body, career, and relationships, as well as build resilience in body, mind, and heart! If you are seeking to create a stronger body (i.e. cope with stress in a positive way – and, yes, build muscle and tone up) and stronger mind (hint: mindfulness is the key), and stronger heart (tip: self-love and self-compassion and CONFIDENCE can help you create beautiful relationships) then I AM YOUR COACH! I have been through ALL of it myself. You are not alone and you can DO THIS! I also offer keynotes on my experience recovering from chronic illness, how to stay well naturally, and how to get empowered in any situation life hands you. Please click here for rates for my VIP coaching services. I love what I skimmed! I couldn’t put it down!! WOW, it is AMAZING !!! It is fantastic!!! I’ve had it for a while and so much resonates with me… and have passed it on to my GP who has supported me through it all. Having all the info in one place, from someone who’s struggled with CFS is mind blowing. I love your book! Only read your story so far but it’s brilliant. It’s really made me think about things and question everything. Your writing is stunning and your poetry is exquisite. The emotion behind each word is amazing. “I also learned so much more about conditions I have been diagnosed with such as Fibromyalgia, Chronic Fatigue Syndrome (CFS), Irritable Bowel Syndrome (IBS), etc. I was diagnosed with all of these before there was much information on them so the more I learn the easier it is for me to understand what is going on with my body. And I believe that this is Edie’s whole point. We need to be in tune with how our body does or doesn’t function and what can/can’t be done about it. There were several quotes I found in the book that caught my eye; however, if I was to pick one which embodied what the author was trying to get across, it would have to be this one, short, sweet and to the point. (Ref “The Memory of Health” p. 16). So what can you expect to find in this book? First, Summers shares her personal journey living with chronic illness, including how she recovered. She emphasizes the power of storytelling for well-being. Many of us with chronic illness can feel very alone in our experiences living with these conditions. Connecting with each other over our shared experiences is empowering. From making us feel less isolated in our experiences, to learning from each other, storytelling is very impactful. And there is much to learn from Summers’ story. One thing that really resonated with me was her relentless detective work to find what helped her to heal. The other was how Summers identified mental, physical and spiritual causes that contributed to her illness, and then made changes to effect her recovery. causes of chronic fatigue, including changes to the thyroid, anemia, microbiome, immune health, inflammation, depression, etc. 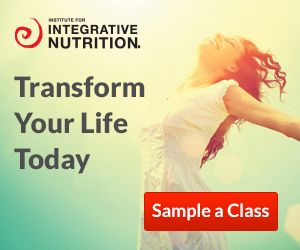 improving nutrition, restorative movement, relaxation, mindfulness, improving sleep etc. In the final sections of Memory of Health, Summers provides a roadmap to self-care in order to help readers improve their well-being. The book includes detailed summaries of tips to improve physical health including diet modifications, supplements, super foods, relaxation, de-stressing, sleep support, yoga and many other important topics. I think the most powerful section of the book is dedicated to mental, emotional and spiritual healing. Summers writes “The problem is, you cannot heal if you are not present in your body. This is your first step: get back into your body and stay there. It bears repeating: health resides in your body (p. 336).” Summers believes the road to greater presence is founded in self-love. Finally, she emphasizes connection– to loved ones, to activities that give us joy and to a sense of purpose. Thanks to author and health coach Edie Summers for sharing her amazing experience finding her health after losing it. Her journey is inspiring. What I loved about this book was the depth of resourcefulness it provides. As the author points out, health is not a one-size-fits all. I learned some things that do apply to me, and some that do not. But I think that is what the book is designed to do. I think that Edie is an amazing authority who has done her homework. Clearly she wants to change and improve lives through this book. We can all learn from the discoveries that she has made along her own path. I have been through a few things. Here, you can see the scars on my knee from my surgery. This surgery changed my body, but it woke up my spirit. What wakes you up? What makes you wish to come ALIVE? There is a place where you can feel free and full of vital energy. When we find the courage to come from a place of wholeness, integration, and, most of all awareness, life opens up. What will happen when you realize the VALUE of your own WELL-BEING? You CAN reclaim your health and well-being. You can feel better, access more ENERGY, and revitalize your life!